Meet Kim Tan, an 18 year old lonely chaebol heir living in California for quite a few years already, sent here under the cover of ‘studying’ but in reality it’s exile from the family. In his own words, the day his brother sent him here, his words were short, honest and to the point – there’s no need to study hard or anything, all he has to do is live there in luxury, just eat and survive; there’s no need for thinking and of course, no need to come back. He spends his time having fun, surfing alongside his friend Jay. Jay asks him if he doesn’t hate or feel wronged by his brother who sent him here, his mother who won’t care or his father who won’t give him the time of day but he seems to have passed all emotions onto the point of silent acceptance. 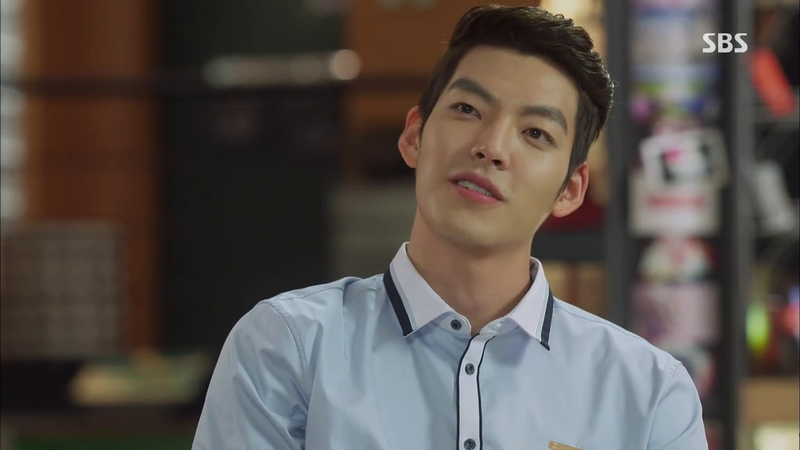 Then we have Choi Young Do, heir to the Welcome Resort and someone who’s life experiences have made him bitter and resentful towards things – although to the onlooker, his thoughts and actions are unreadable and unpredictable. He’s bullying a fellow student, calling him “friend”, hitting him hard on his arm with an ‘Ooops.’ When one of Young Do’s friends jokingly tells him to take it easy lest people think he is bullying the guy, he casually tells the friend to go stand instead of his target. While he says it with a quiet tone, there’s a definite warning and no-argument stance there. He leaves the scene, letting his two ‘minion’ friends beat up the guy. His hobby and interest seems to be in riding a motorbike and the first time he sees Eung Sang is at one such store where he’s buying a bike. She’s there to deliver a pizza as part of her part time job and easily deals with the store salesmen trying to flirt with her by calling up the police. It seems to have left a bit of an impression on him and he watches her rush off. 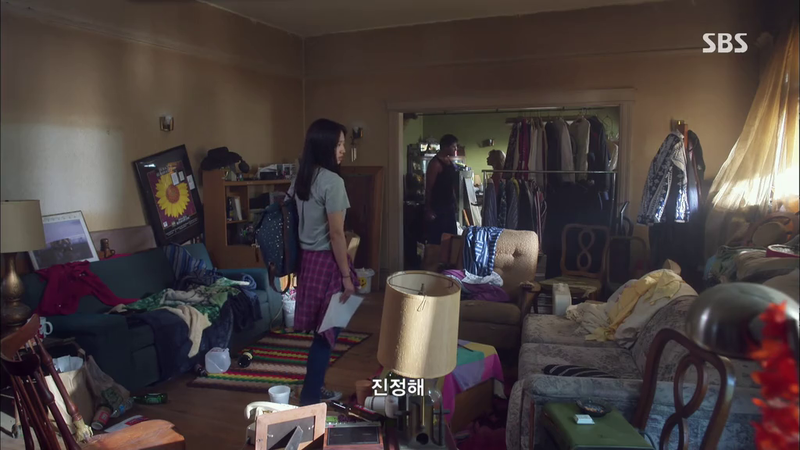 Eung Sang is the typical poor girl who’s working a dozen part time jobs here and there. At a coffee shop where she’s working, she takes her break to find Chan Young – her best friend waiting for her. He’s been waiting for half an hour already and his purpose to visit is to deliver an umbrella for her since it would rain that night. 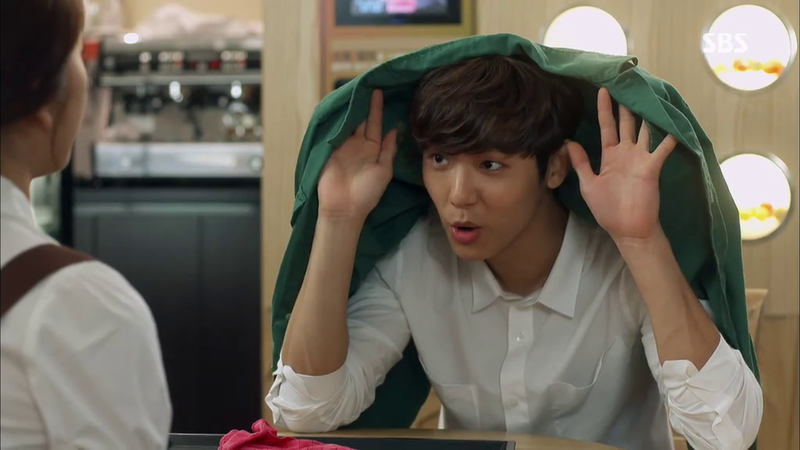 Eun Sang wonders how he’ll go home with his girlfriend then and he adorably holds his jacket over his head – this way! With that, he tells her to hurry up and find a boyfriend for herself. Chan Young’s girlfriend, Bo Na comes along and jealous of the two’s easy relationship warns Eung Sang against trying to steal Chan Young. I love the way Eung Chan laughs it off. Chan Young seems pretty used to these situations and simply sits there as the two battle it out until Bo Na comments they have to go. When Chan Young is about to tell Eung Sang where they’re headed, Bo Na covers his mouth, warning him not to say a word, ha!! When he later asks Bo Na not to be so harsh on Eung Sang, she storms off in a huff because she can’t believe they’d be so platonic and Chan Young simply smiles at her outburst. Aww, these two are so cute together! At home, Eung Sang has an easy and openly friendly relationship with his dad as they both cook together and chit chat about how he’s leaving for the States soon to study. 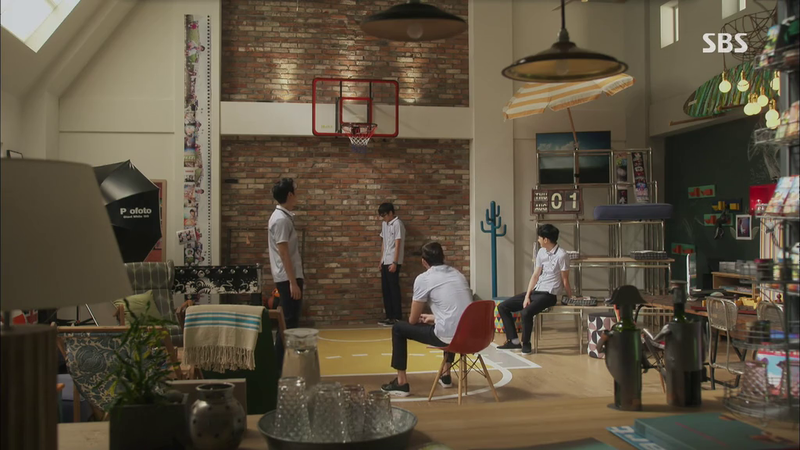 Dad asks if he’s told Eung Sang yet but Chan Young doesn’t want to – it would be a bit cruel since it’s also her dream. 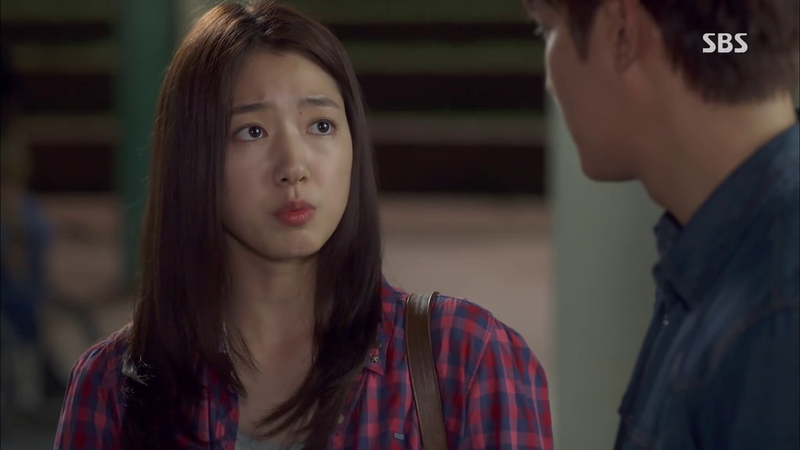 Chan Young even asks Dad about Eun Sang’s mother, wondering how she’s doing. Turns out Eung Sang’s sister is in the United States and while her mother and Eung Sang believe she is studying and about to be married (she asks them for the money), she is in reality living with a drunk and jobless boyfriend. Her mother is working as a housemaid (she cooks) in the Kim household and is mute so uses a notebook to communicate. The madam of the house isn’t in a good mood since Kim Tan isn’t answering her calls and takes it out on the food. 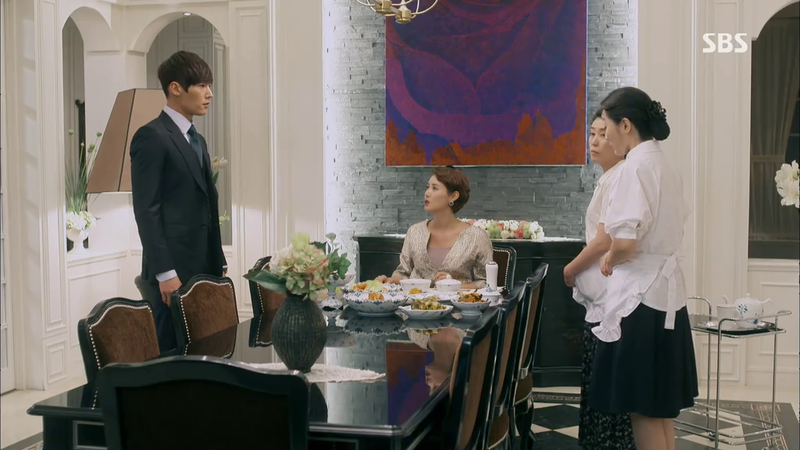 Eung Sang’s mother takes it all quietly and apologetically until another maid rushes in to say that Kim Won is home. While the madam scrambles on how to hide the wine she’s having, Eung Sang’s mom dumps the glass’s contents in the madam’s soup, wipes the madam’s lips and hides the glass just before Won enters the room. He is somewhat abrupt and cold towards the madam and the staff, only ordering that his room be cleaned again and instructing Eung Sang’s mom to bring him water. Meanwhile, the madam is too concerned with image and refuses to eat – that’s how madam’s sometimes act, she declares before walking off and ordering the food to be thrown out. 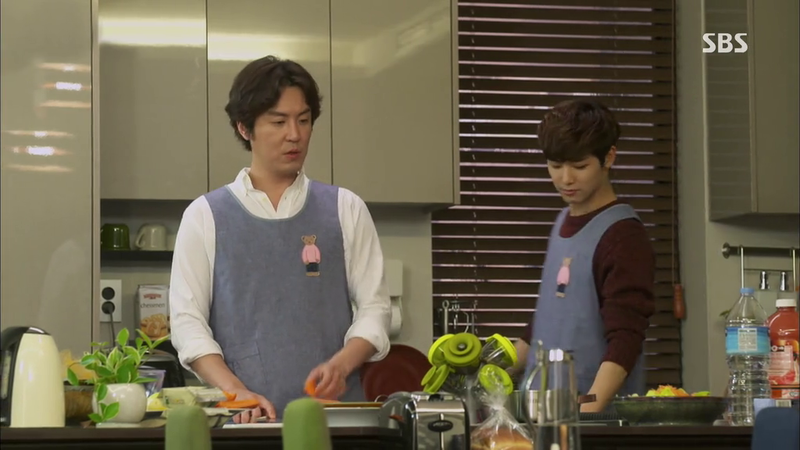 That night, mom serves the same food to Eung Sang who storms off in a huff, refusing to eat the ‘trash’ of that house. Mom then comes by to give Eung Sang her bankbook, citing that her sister wants the money since she’s getting married. Eung Sang, already resentful of Unni for not being in contact more and forgetting them is astonished at the news and angry to learn that Unni hasn’t really invited them to the wedding. So in defiance and after fighting with mom, Eung Sang decides to go to America herself and deliver the money. 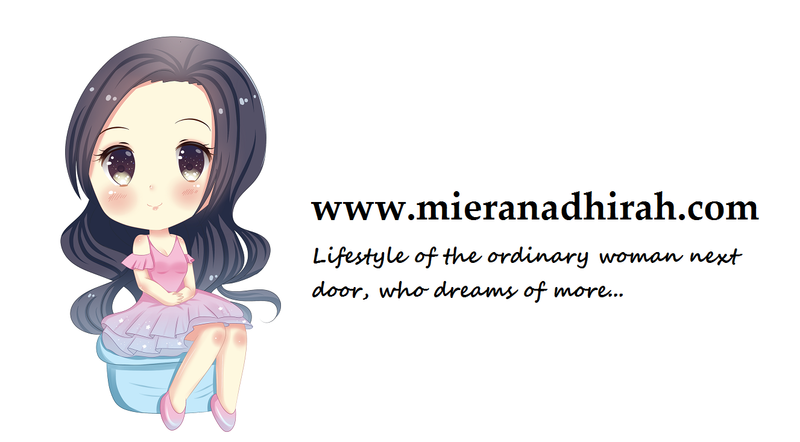 What prompts her decision even more is that she’s tired of her current life, striving and working all the time – a life equivalent to no life at all. Moreover, reading through her mother’s communication diaries, she realizes how hard her mother is striving for their family by serving the Kim Family. On one journal that she’s now leaving for mum, she writes, “I’m Sorry, Mother“. Once she’s packed her bags, Eung Sang sits crying hard in her room, covering her mouth to keep the sound from going out, promising her mother she will be back soon. Meanwhile, we are introduced to Rachel Ryu, whose mother is getting engaged and consequently married to Young Do’s father. She’s against the marriage, still resentful of her mother for breaking up with Dad, it seems. At the combined lunch between the newly engaged parents and children, both parents are having a good time, ignoring the children who just sit there stoically. When Rachel’s mom introduces her and asks Young Do to take good care of his ‘younger sister’, Young Do smirks, “Of course! 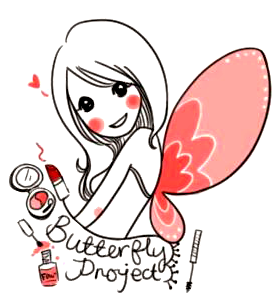 Hello, Sister!” With that, he leaves citing an appointment. At that, his dad gets up and punches him right there and then (Whoa Dad, care that you have an audience?! ), telling Young Do to sit down but Young Do angrily tells him he won’t sit now at all since he’ll feel too embarrassed in front of his new ‘younger sister’. When he walks out, Rachel volunteers to follow him. 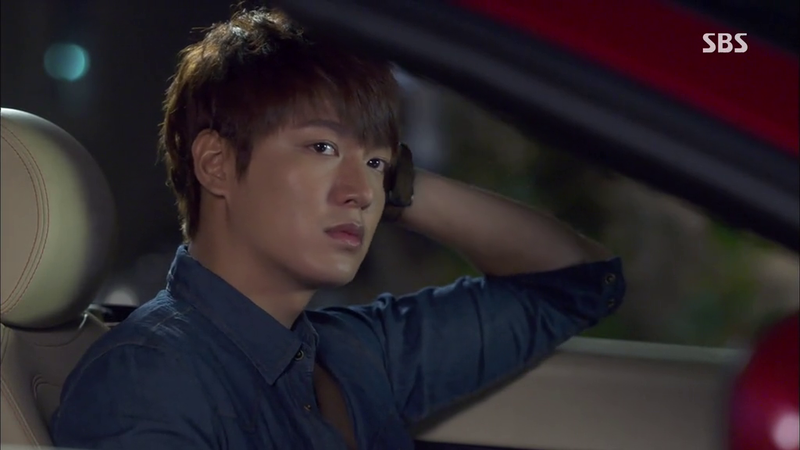 She tells Young Do she’s here to let him go, not stop him and reveals that she’s engaged to Kim Tan. If they became a family, Tan and him would be in-laws. She knows it’s a connection that would make him uncomfortable and thinks he might use it as an excuse to stop the marriage but he points out he never said he ‘hated’ this marriage so he’s not about to stop it either. If she’s so bothered, she can do that herself. With that, he drives off, leaving her fuming. Also preparing to go abroad is Rachel – to celebrate her engagement anniversary with Kim Tan, after another argument with her mother. The relationship status is pretty telling since Tan doesn’t even pick her call and knows that she’s probably already coming over to the States and decides to head out with Jay, citing that “I’m too lazy to celebrate!” Consequently, he spends his time surfing. 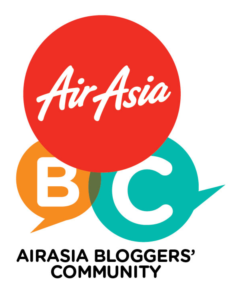 Once she exits the airport, Eung Sang and Rachel have a run in, where Rachel takes offense at Eung Sang laughing at her. But Eung Sang is polite and mutters that it’s because she thought they felt like comrades – that she’s not the only one who’s out of place here. Rachel is seemingly affected by those words – or perhaps angry since they’re true but says nothing. Eung Sang arrives at her sister’s ‘house’ and is shocked to realize the truth. 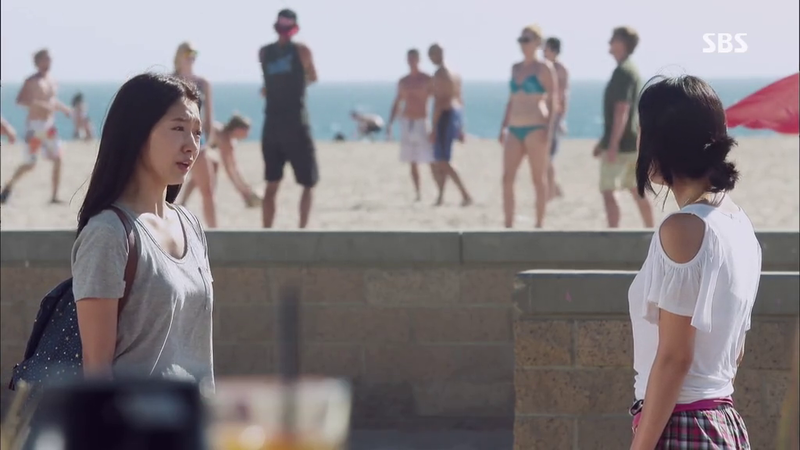 So she heads to the beach, wanting to know confront Unni where she works. She and Kim Tan run into each other from afar a few times – she sees him on the beach dressed as a surfer and she catches his eye while she stands alone to a side. He has the chance to observe her though, when she stands outside the restaurant he is having coffee. Turns out, the waitress serving him is ‘Unni’ and Eung Sang tears up as she sees Unni flirt around with men and allow herself to be treated badly. 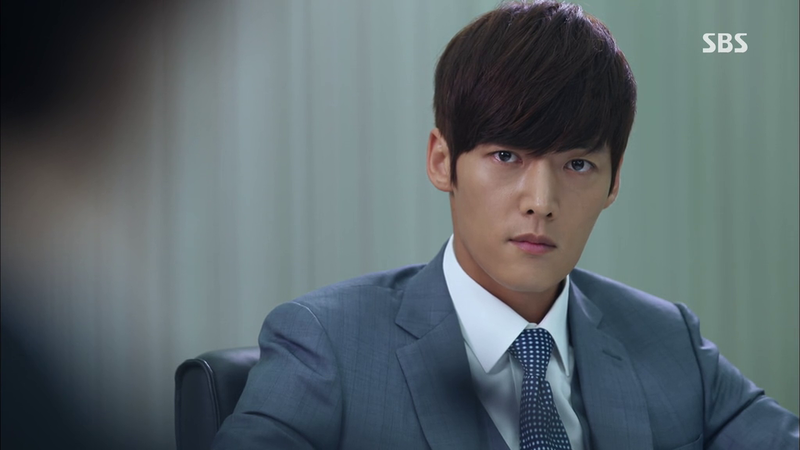 In Korea, at JEGUK Corporation, Kim Won oversees a meeting which doesn’t seem to go well, especially since he isn’t really respected as the person of authority. 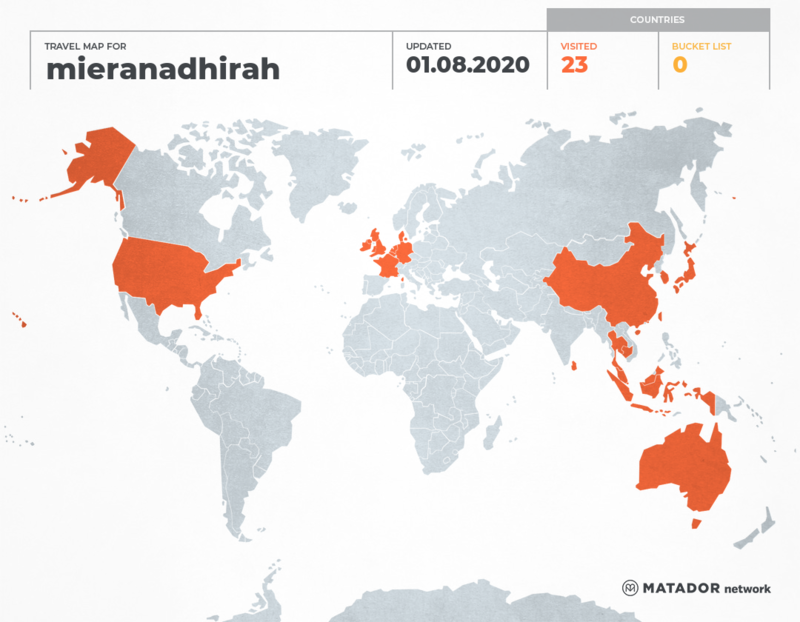 The Chairman is still alive – although not having been in office a while, and all the executives and team leaders there don’t care to give Won much importance. He takes up the issue with Chan Young’s dad, seeing as Daddy Yoon is looking as nonchalant in the meeting as he could and simply tells Won that the person he is supposed to report to, aka the Chairman isn’t really here. 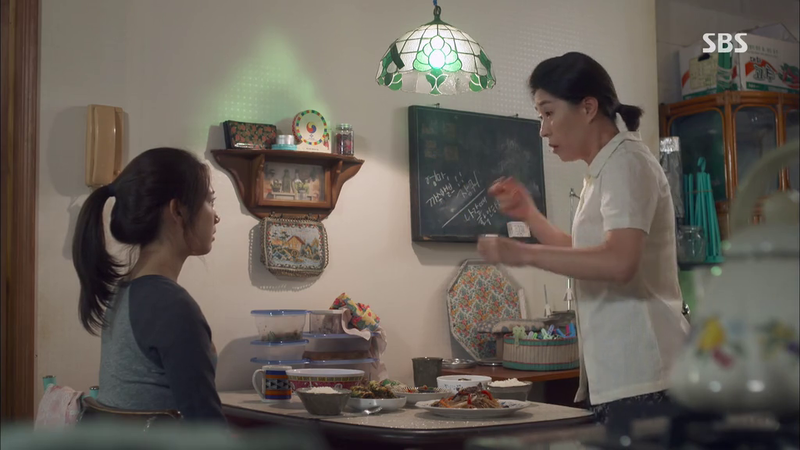 When Unni finally sees Eung Chang, she’s not at all repentant over her lies or her current lifestyle, taking offense at Eung Sang going to her house and simply asks for the money. When Eung Sang refuses to relent, Unni simply starts searching her suitcase until she finds it. Eung Sang begs Unni to cut it – she abandoned their mother, shouldn’t her life at least be worth it then? What she hates most is that she always looked up to her sister as her dream – to achieve the same success as her sister. Unni mutters a nonchalant ‘sorry’ before finding the money and running off. Eung Sang begs her not to go, but can’t chase her either since her belongings are open and lying all over the ground. 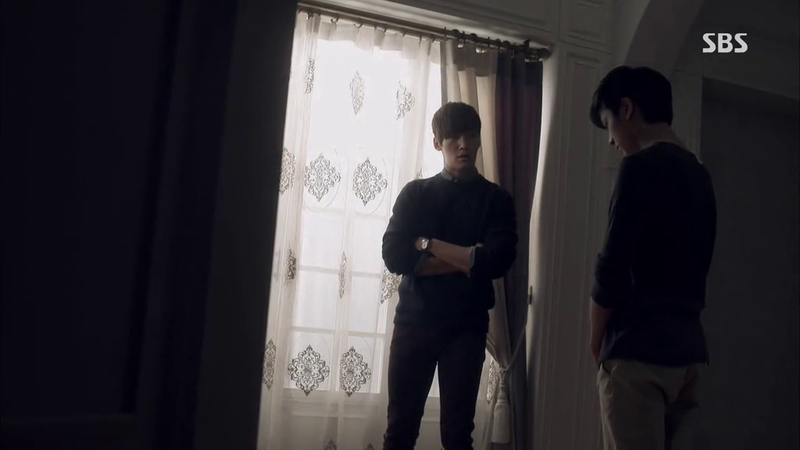 As Kim Tan watches, his friend Jay approaches him and seeing Eung Sang, runs off to ‘help’ her. Ha, most hilarious is what he asks Kim Tan, “You don’t think she has a gun, do you?”Before Tan can react and stop him, his friend’s already run off with a package of Eung Sang and she chases him around the beach to get it back. When she does though, it tears up in Jay’s face and he loses consciousness – allergic reaction to the bean powder in it. 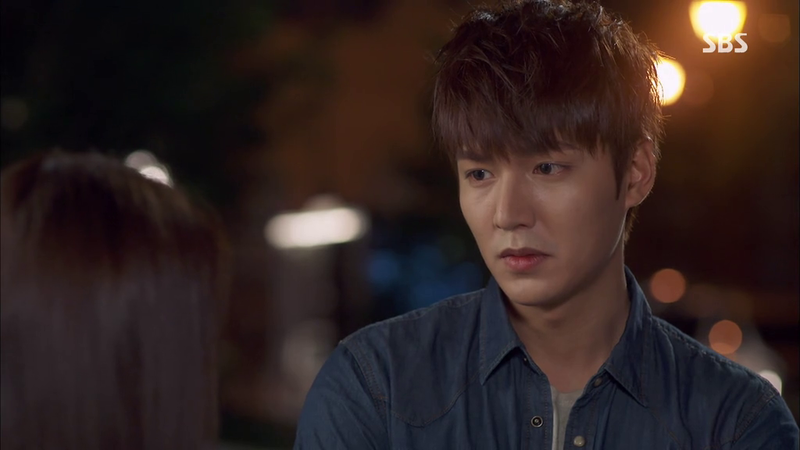 Kim Tan wonders why Eung Sang was carrying something like that and she’s baffled that he has the gall to blame her when it was his friend who ran off with her belonging. The police get involved, wondering if it was a drug that got Jay unconscious and Kim Tan tries to help Eung Sang by pretending she’s his girlfriend, only it backfires. 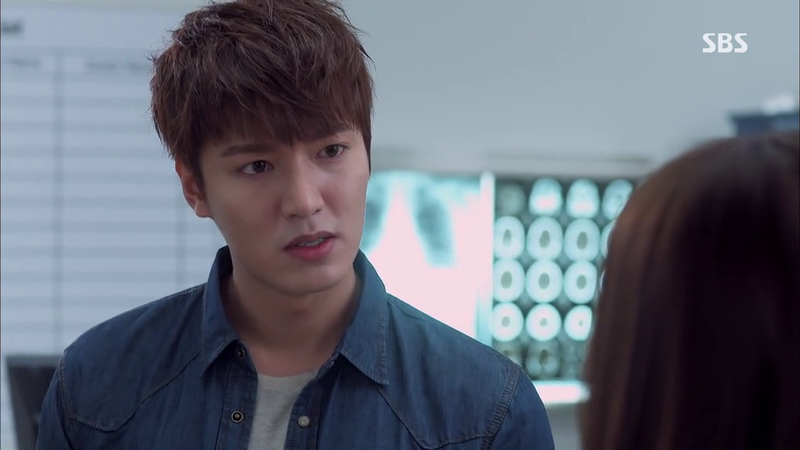 The officer on duty and Kim Tan seem to have a bad history so he tells Tan he’s confiscating Eung Sang’s passport until the investigation is done and he’ll be thorough, especially since Kim Tan is also involved. Kim Tan takes offense at Eung Sang talking to him banmal and she’s like ‘isn’t that how everyone in America talks like?’ he points out that it applies to English so she tells him to just think of it as English. She’s already seen his id card so knows they’re the same age. First she asks him to lend her his cellphone – she’ll pay him for the call and then asks him to give her a ride to her sister’s place, offering to pay him the taxi fee. He asks her if she really has a lot of money cause that’s all she talks about and she falls silent. Reading her down expression, he seems to make a decision. When he drops her off, instead of heading off, he waits while she rings the bell but no one answers. Annoyed, he asks if she’s going to wait like this, pointing out that her sister isn’t likely to be home after running away with that money. She refuses to think the worst and opts to wait instead – maybe they just went out for a bit, so he drives off. She sits there for a while until some American guys pass by and pass comments at her, thankfully not approaching though. Afraid, she hides behind a wall until they’ve passed. Now a little scared, she decides to leave. As she wheels her suitcase out and walks away, a car zooms up to her.